The first oral fertility thermometer built to sync with an app. Wink makes charting quick and easy so you can enjoy the journey. Now you are in the driver's seat! Please note that we are currently not shipping to Canada. 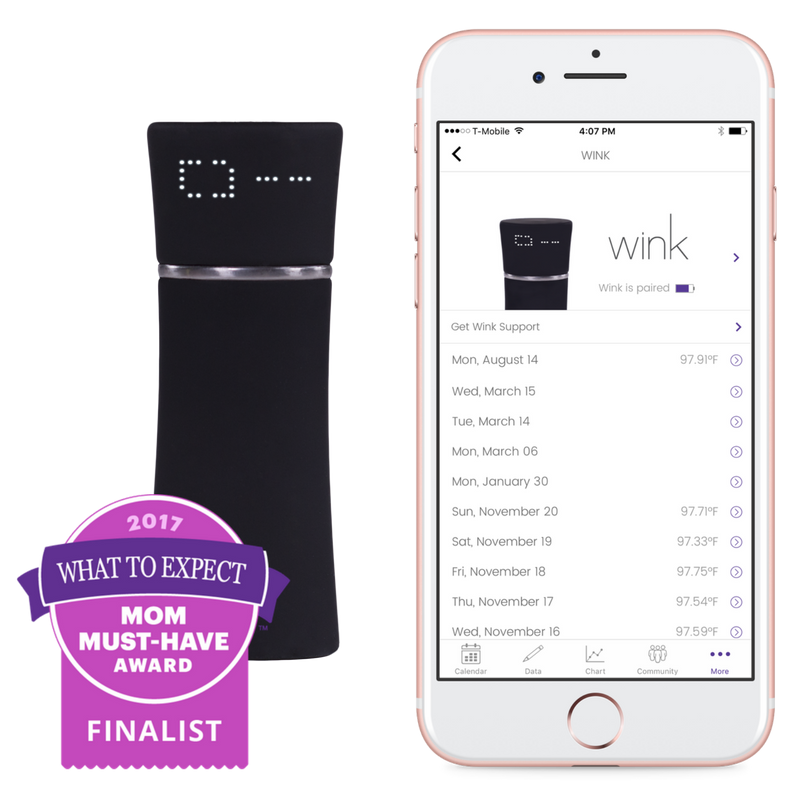 Wink is here to help you achieve your fertility goals. Use Wink to take your BBT at the same time every morning before getting out of bed. Your temperature and the time it was taken automatically syncs with the Kindara app (iPhone or Android). Better data, a supportive community &/or your practitioner can help you achieve your fertility goal. Wink will accurately record your BBT up to 4x faster and sync automatically with the Kindara app. Better data means you can take better ownership of your reproductive health and achieve your fertility goal with more ease. Wink by Kindara has been named a finalist in the What to Expect Awards for Best TTC Tech. A true testament to it's best-in-class technology. Wink Makes Charting Quick & Easy! Learn why women and couples use Kindara, and how it has impacted their lives. Simply click the image below to read the user's full story. Danielle F: PCOS or just long cycles? Krystal W: Learning about Fertility Awareness with the help of Kindara... and her fiance!